1982 foal, US bred and raced. Did not run as a juvenile, won three from four at 3yo with successes in a maiden and two allowances races between 7f to 8.5f. 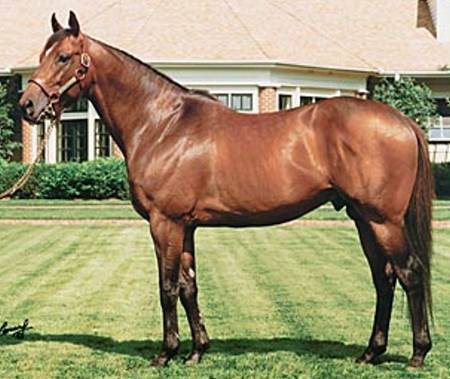 Also won three from four at 3yo including a Grade 3 at 8f and a Grade 1 Stakes at 8.5f. Stands at Lanes End Stud in Kentucky at a fee of $40,000. Best known in Britain for his only recent 2yo runner - Tungsten Strike - who was unplaced at 2yo but has developed to be an older winner at Group 2 level over 16f. Two runners in 2006 and both won two races (5-6f) including Listed winner Hope'N'Charity.